The story of the Las Animas Mining District began with the Colorado Gold Rush of 1860, but it was silver that kept the local mines operating for over one hundred years. The region laid claim to many mining firsts in Colorado and the San Juan Mountains, and served as the cradle for engineering and mining practices that revolutionized the entire mining industry. The area was the scene of the first two mineral rushes to the San Juan Mountains, which included the first hard rock mine and ore treatment mill. The first and the longest aerial tramways were built here, which helped to further the inaugural practices of mining low grade ore. One of the first and most advanced mining power grids and power plants were used in the district. These practices ultimately helped save the Colorado mining industry when the bottom fell out of the price of silver. One of the most profitable mines in the United States (the North Star Mine) and one of the largest and most complex (the Silver Lake Mine) were located in the district. This area impressed mining engineers, metallurgists, and investors for over a century even though it was located in some of the most rugged terrain in the West and the harshness of its climate was second only to Alaska. 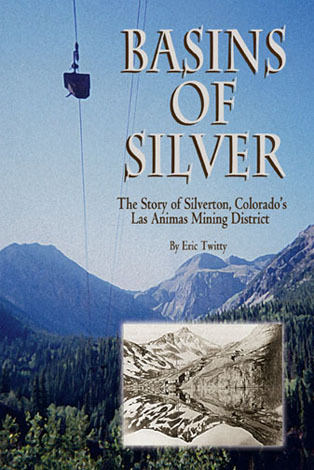 Author Eric Twitty has documented and assessed the historic mines of the Las Animas District for many years. He is an owner of Mountain States Historical in Boulder, Colorado, and has researched and analyzed the remains of thousands of mines throughout the state.